"Anthropomorphic Design Blog"™ is a trademark name, initially and officially founded on January 30, 2014. This work is Copyright © 2014 by Andis Kaulins. All materials presented on "Anthropomorphic Design Blog"™ are for information only. "Anthropomorphic Design Blog"™ specifically disclaims any and all liability for any reliance placed upon the materials published within it. Nothing on this blog is intended as legal advice nor is it legal advice. Nothing published at "Anthropomorphic Design Blog"™ should be construed as investment advice or as a solicitation to buy or sell any kind of financial instruments. "Anthropomorphic Design Blog"™ expressly disclaims any liability for the consequences of links to third party websites. 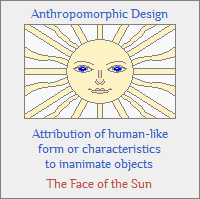 Copyrighted materials on "Anthropomorphic Design Blog"™ are posted under the “fair use” exception as granted by Title 17 U.S.C [United States Code] Section 107. "Anthropomorphic Design Blog"™ syndicated feeds are intended for personal and professional non-commercial use. Commercial transformative fair use in blog catalogs or search engines is permissible. "Anthropomorphic Design Blog"™ can be quoted – in reasonable amounts – with attribution. That is fair use. We reserve the right to require that anyone cease distributing "Anthropomorphic Design Blog"™ content at any time. Email: Separate my first and last names by a dot, insert the appropriate at-sign and then add the gmail.com domain.